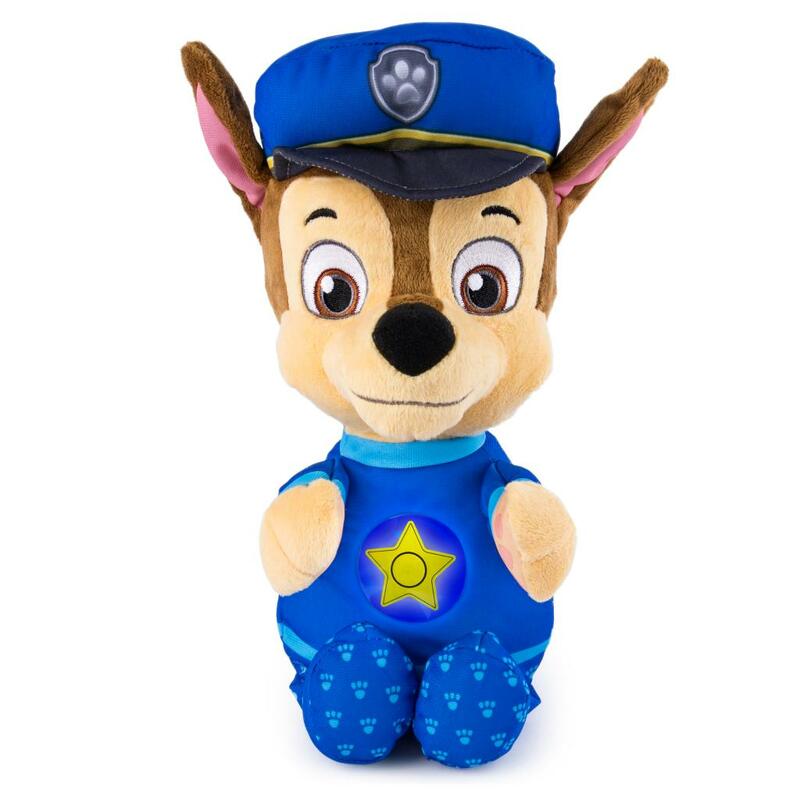 Bring home your favorite Paw Patrol pup Chase in a super soft, cuddly plush. 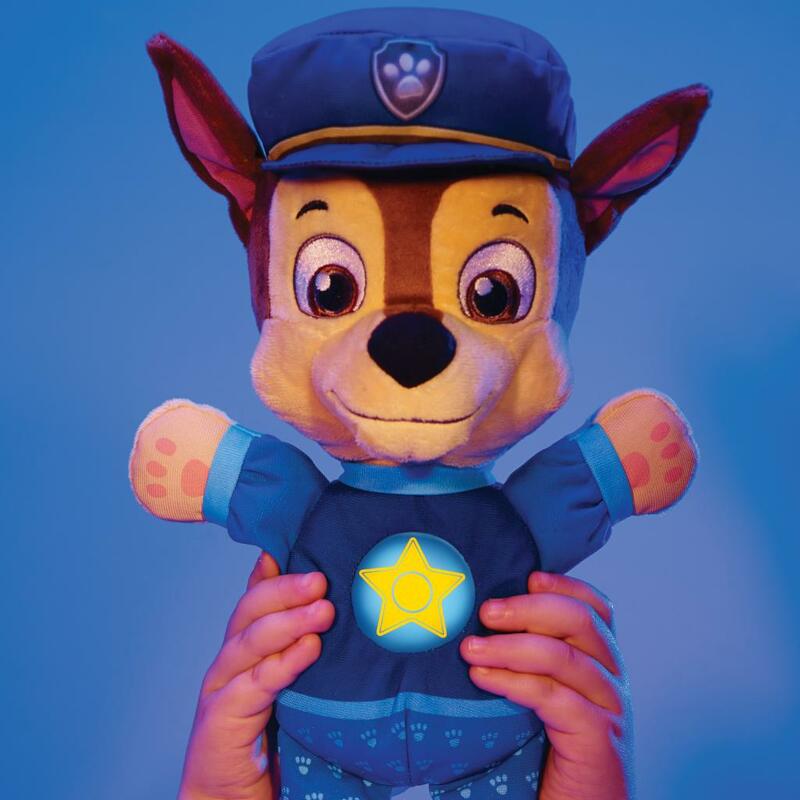 Snuggle Up Pup Chase is the perfect naptime companion — with a light-up belly that acts as a nightlight. 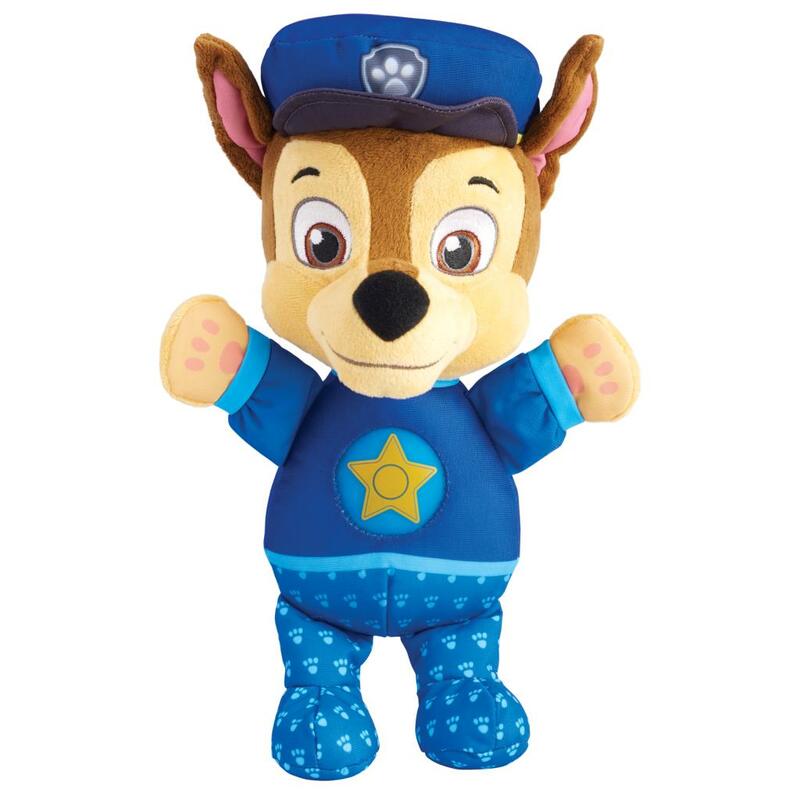 Squeeze Chase’s belly and he’ll sing you to sleep with sweet lullabies and Paw Patrol phrases — he knows 8 sounds and phrases. Perfect for bedtime and playtime, Snuggle Up Chase is on the case! 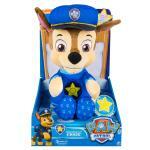 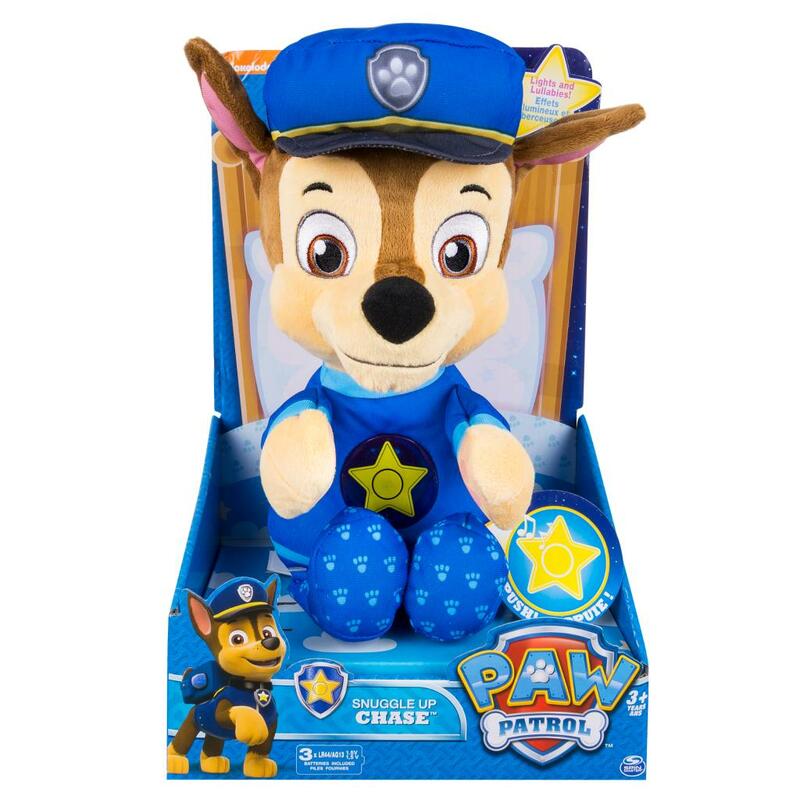 Cuddle with your favorite Paw Patrol pup with this super soft Snuggle Up Chase plush. 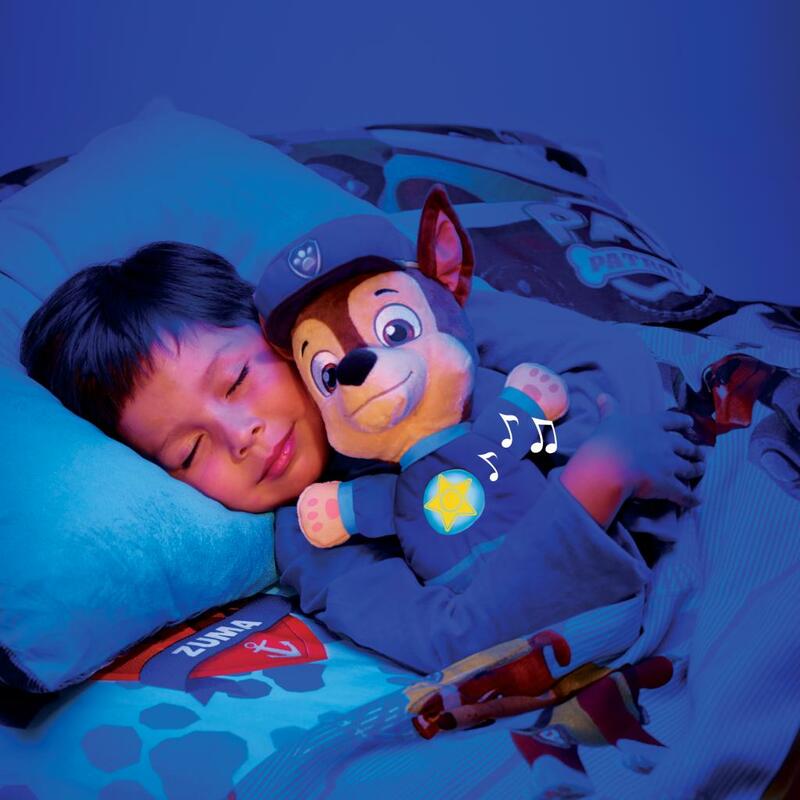 Snuggle Up Chase’s belly lights up for a soft, soothing nightlight. 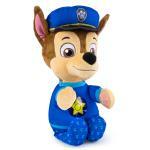 Snuggle Up Pup Chase is for ages 3+ and requires 3 LR44 batteries (included).